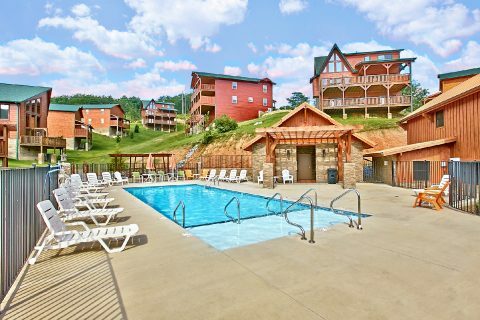 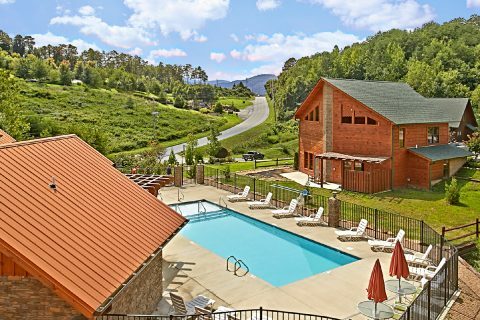 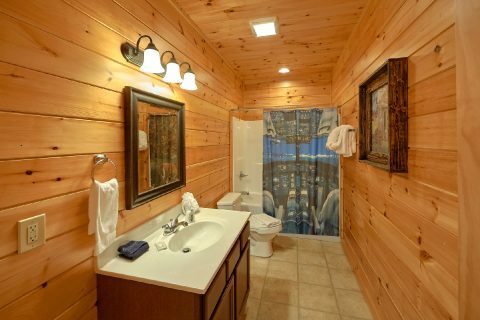 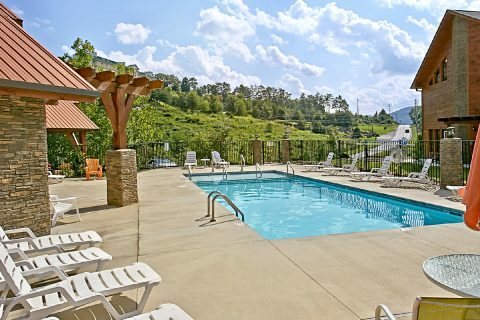 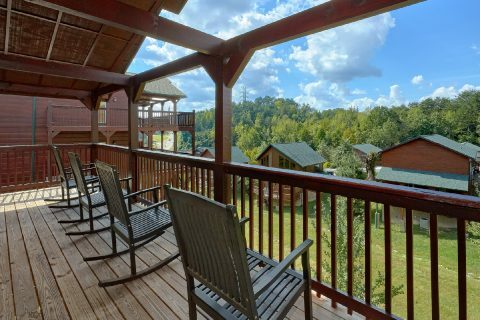 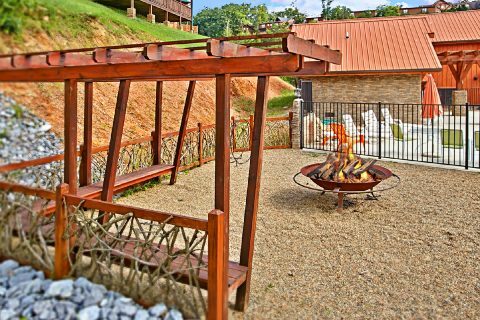 Located in the exclusive Bear Cove Falls Resort area, you'll find "Flying Bear," a comfortable Pigeon Forge cabin that boasts outdoor pool access, a hot tub, and a special 15% discount rate! 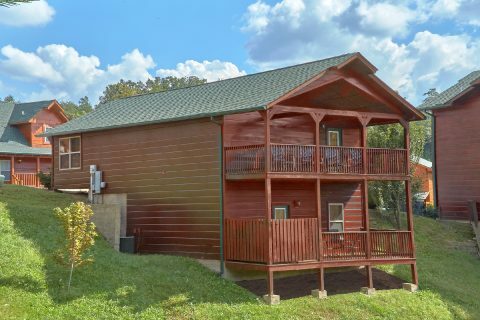 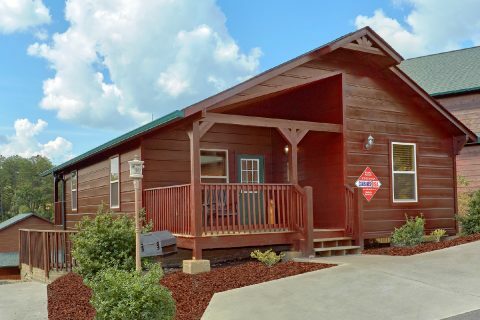 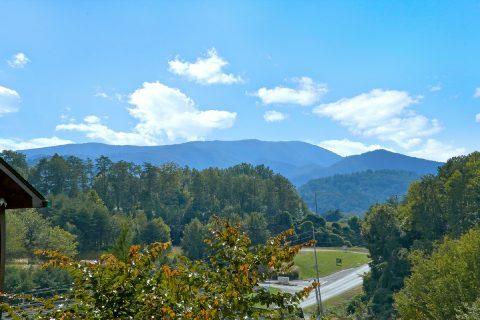 Thanks to this cabin's prime location that's only minutes from the Pigeon Forge Parkway, you can easily enjoy the best sights and attractions that Downtown Pigeon Forge has to offer. 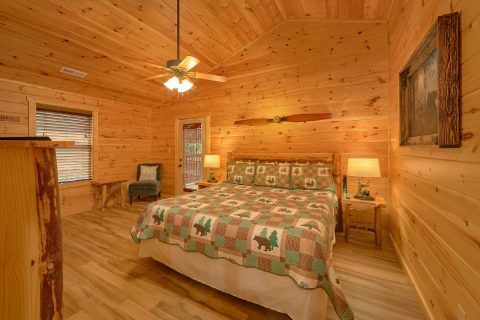 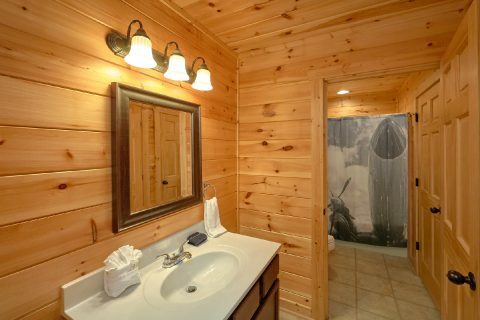 Additionally, this cabin is only a short drive from other top destinations like Dollywood, Downtown Gatlinburg, and the Great Smoky Mountains National Park. 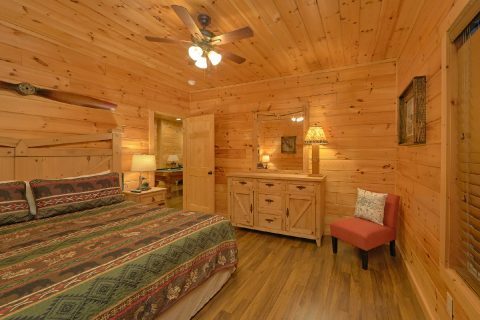 After a great day spent enjoying the Smokies, you can look forward to unwinding at this resort cabin with lots of comfortable amenities. 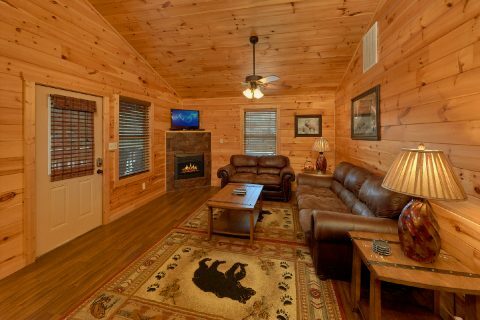 In the living area, you can enjoy quality time with friends and family. 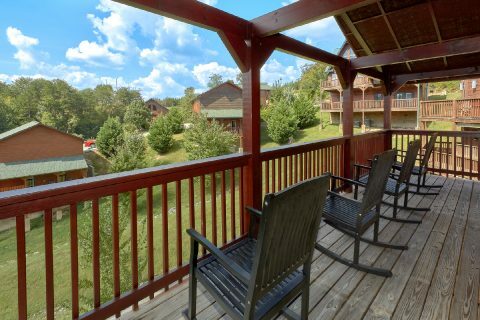 Out on your cabin's deck, you can take in the resort view while you unwind in the fresh mountain air. 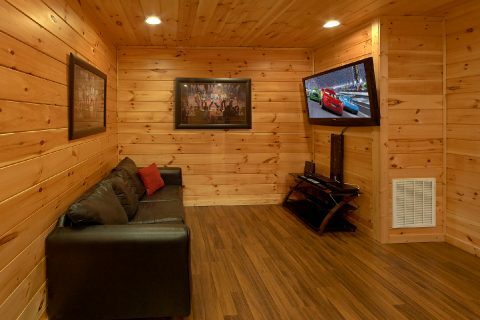 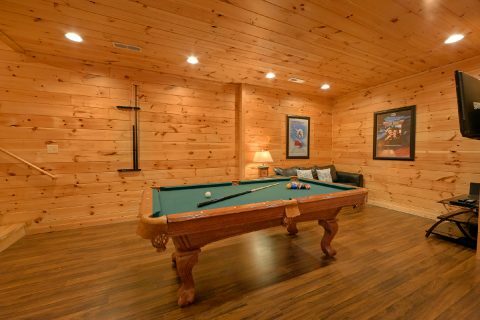 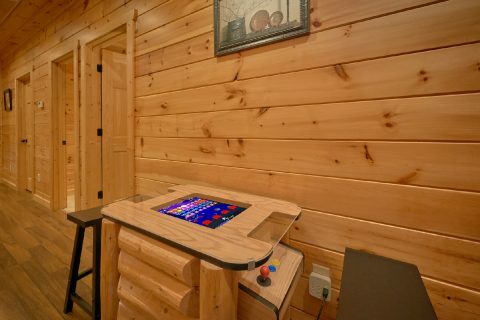 Your cabin's den even provides a sit down multi-cade arcade game and a pool table to enjoy during your stay. 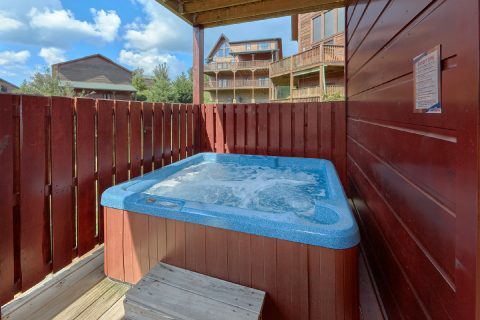 In your cabin's hot tub, you can sit back in the warm waters while the jets massage your cares away. 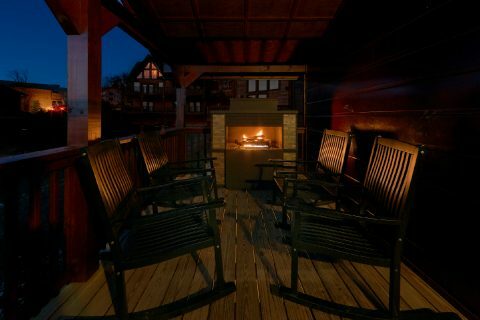 There's even a gas fireplace on the back deck so you can enjoy a nice evening under the stars by the fireside. 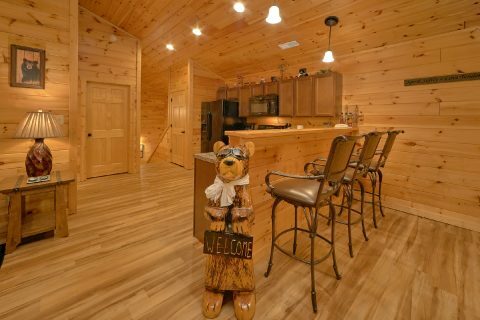 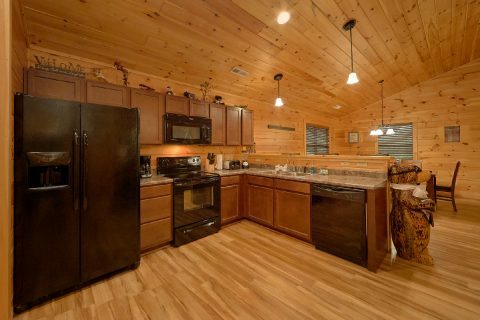 "Flying Bear" also comes with useful amenities like a full kitchen, WiFi Internet, a washer/dryer, and a charcoal grill to use during your stay. 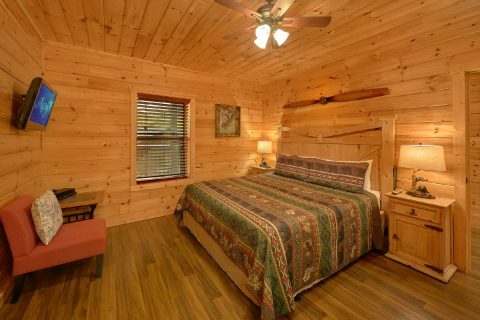 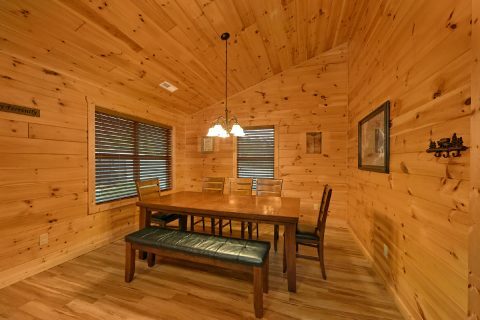 With 3 king-size beds and a sleeper sofa in the den, this cabin is just the right size for your family getaway to the Smokies! 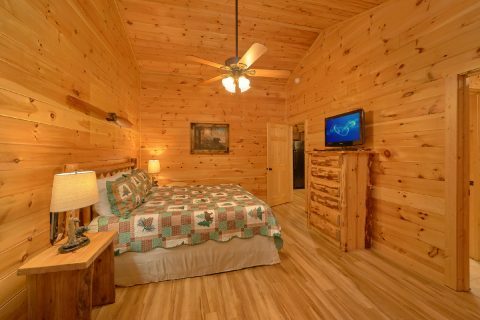 Altogether, this cabin can sleep up to 8 vacationers. 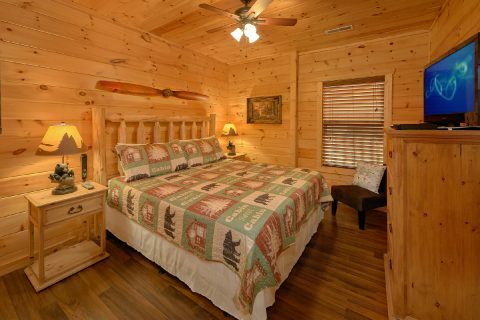 Book "Flying Bear" today with Cabins USA Gatlinburg to save 15% on your nightly rate in the Smokies!